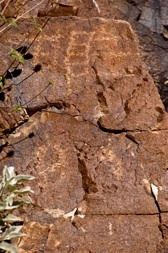 Southern Nevada Rock Art Association, SNRAA, (pronounced “sun-ray”) is a group of dedicated people who have a common interest in rock art. Meetings are held the fourth Monday of each month from 6:30 to 8:30 p.m. in the REI store in Boca Park, 710 S. Rampart Boulevard in Las Vegas. (More information on the EVENTS page). Our meetings are open to the public and are free of charge. 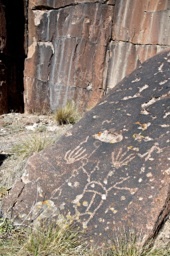 We feature well-known, exciting speakers talking about rock art and archaeology. 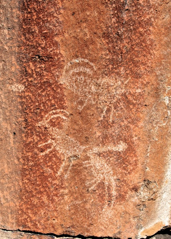 SNRAA was incorporated as a non-profit in 2002 for the purpose of providing free educational programs to the public and assisting local government agencies in the study, preservation and protection of rock art in Southern Nevada. Our annual membership dues are $20 for an individual and $25 for a family and run from January 1 through December 31. 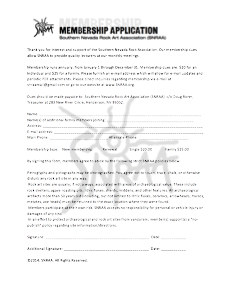 Membership in good-standing is required to participate in any SNRAA sponsored activities or site visits. A membership application may be obtained clicking the the link below. 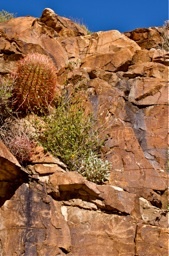 With the thousands of new residents wanting to familiarize themselves with our beautiful desert and its cultural sites, there is danger of the area being loved to death. SNRAA strongly supports efforts to monitor and report site threats to land managing agencies. 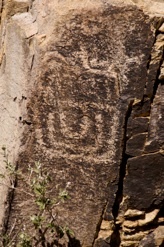 Many of our members are site stewards who frequently check their sites and report back to the Cultural Site Stewardship Program headed by the State Historic Preservation Office’s (SHPO). 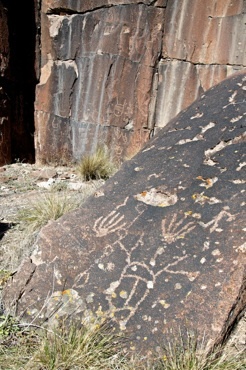 If you are interested in participating in the effort to save our sites, please contact Samantha Rubinson at srubinson@shpo.nv.gov. For additional information contact SNRAAmail@gmail.com.